The performer stands with her back turned toward the audience. A hard spotlight snaps on, activating the performer. The performer somersaults to face the audience. A series of three evenly placed spotlights snap on in succession. The performer moves through them, using stylized movements modeled after Jim Crow era illustrations of black men. 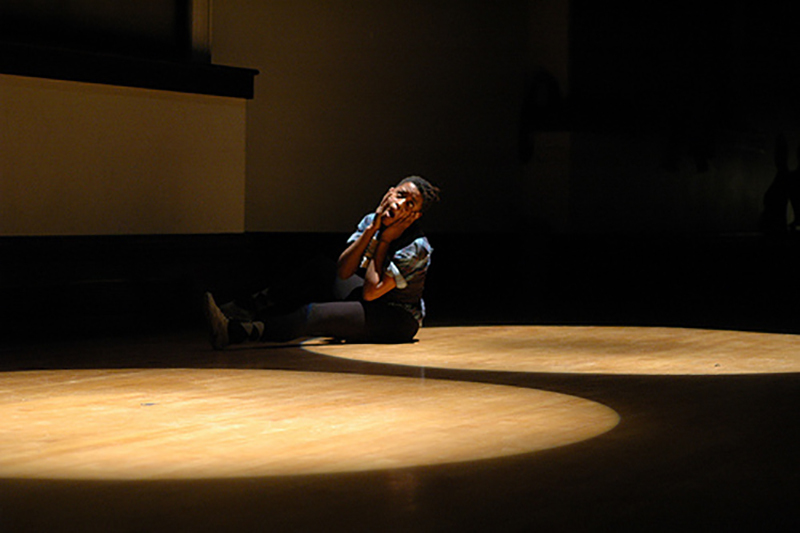 In the final spotlight, the performer removes a rag from her shirt pocket and places it on the ground. The performer slams her body into the ground and places her face upon the rag. With an exaggerated smile, the performer pushes the rag with her face from one end of the room to the other. 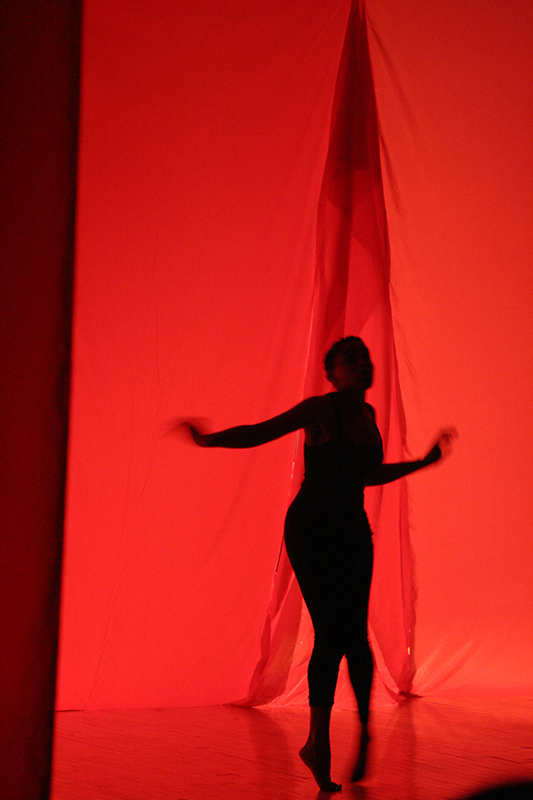 Returning to the location of the final spotlight, the performer rises, dusts her face, and replaces the rag. The performer holds a final stylized pose as the spotlight slowly fades. A wooden chair is dimly illuminated by a cold, white light. The performer, legs bound to two decayed fence posts with strips of cotton, enters the space, dragging herself along the ground with her hands. 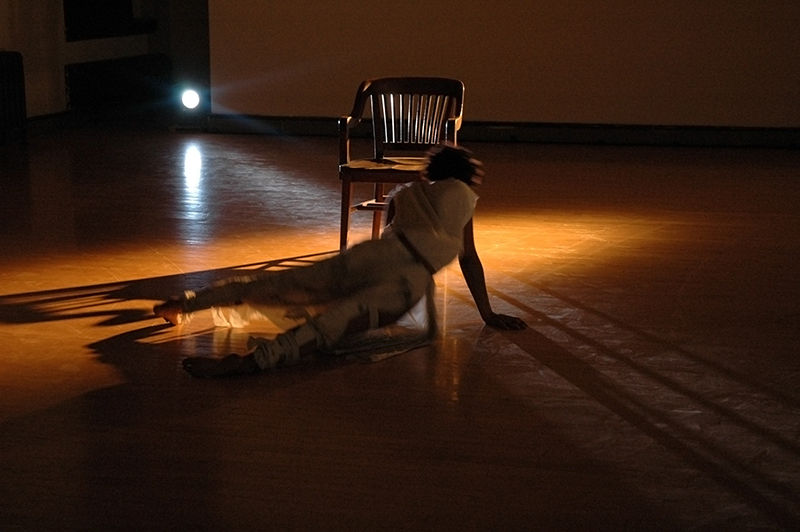 Wrestling with her immobilized legs, the performer engages with the chair, fruitlessly attempting to sit.